Black mulberries are large deciduous trees that are native to western Asia. This variety of mulberry is characterized by their richer flavor compared with the white and red varieties. 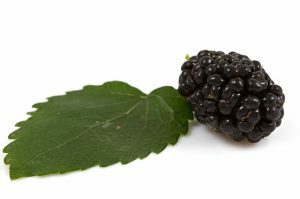 According to an ITM Online entry, black mulberries alone may provide essential vitamins and minerals that improve body function. Thus, black mulberries do not need to be in combination with other fruits to promote overall health. Black mulberries are touted for their positive effects on the immune system. According to an article on the Dove Med website, a one cup serving of black mulberries contains as much as 85 percent of the daily recommended intake for vitamin C. This makes the fruits highly effective in protecting the body against infections and eradicating cancer-causing free radicals from the body. The fruits are also shown to bolster the body’s cardiovascular health. Black mulberries are an excellent source of resveratrol that helps improve blood vessel function and protect them from angiotensin damage. The powerful compound found in black mulberries is known to increase nitric oxide production, which in turn relaxes blood vessels and lower the odds of constriction. This results in better blood flow and improved blood circulation across the body. Black mulberries are notably rich in vitamin K as well. The essential vitamin is shown to promote calcium retention in the bone matrix and mitigate urinary excretion of calcium. Likewise, vitamin K is found to contain potent anti-inflammatory properties that regulate the body’s inflammatory response. In addition, black mulberries are shown to contain high levels of iron. This promotes red blood cell production and reduces the risk of iron deficiency-related conditions such as anemia and fatigue. People suffering from digestive disorders may greatly benefit from eating black mulberries. The fruits contain abundant levels of dietary fiber that facilitate digestion and alleviate constipation. Black mulberries are touted to reduce blood cholesterol levels as well. The bark of the black mulberry tree is also known to contain anthelmintic and purgative properties that rid the body of parasitic worms, a Fruits Info entry says. Moreover, the tree’s root bark is shown to possess antitussive and diuretic properties that relieve cough, asthma, and urinary incontinence. The leaves are also traditionally used as a remedy to diabetes. Furthermore, black mulberries are a rich source of vitamin E and carotenoid compounds — such as lutein, beta-carotene, zeaxanthin and alpha carotene — that inhibit premature aging and address skin blemishes and age spots. Black mulberries are particularly beneficial in boosting the immune system. The fruits support heart and bone health too. Likewise, black mulberries boost blood circulation and maintain a healthy digestive profile. Black mulberries also relieve diseases of both the respiratory and urinary tracts. The fruits promote skin health as well. Black mulberries can be consumed as a common table fruit. Likewise, they can be added to various recipes such as baked desserts, salads, and meat dishes. The fruits can also be used in various beverages. Black mulberries are an excellent staple in preserves and jams as well. An article posted on the Give Recipe website features an interesting recipe for black mulberry jam. Black mulberries eliminate infections and cancer-causing free radicals. Black mulberries prevent heart disease and digestive disorders. Black mulberries stave off anemia, fatigue, diabetes, and skin diseases. Black mulberries address asthma, cough, and urinary incontinence. Black mulberries support the heart, bones, and the immune system. Black mulberries benefit the respiratory, urinary, and circulatory systems.